The Hart of the Lakers. LeBron James is thought of as a pass-first player. He’s notoriously known for making those around him better, elevating them to greater things — just take a look at how he carried the Cavs last season to this year. History shows that when James goes to a new team, his passing and court vision take his teammates to a new level, completely revolutionizing the offensive system he’s taken over. And while he’s done that without question at his new home in Los Angeles, it seems that someone on the roster is giving the “LeBron Effect,” even making the King a better player when he’s on the court. 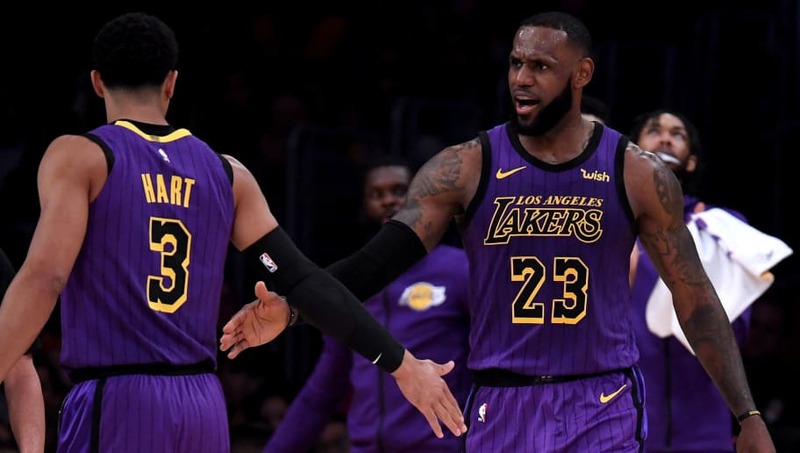 With both​ LeBron James and Josh Hart on the court, the Lakers have had a net rating — that is, points per 100 possessions minus points allowed per 100 possessions — of 5.6. But when it’s LeBron and no Josh Hart, that figure drastically drops down to -2.3. You can’t deny that change in efficiency! And you can’t deny Josh Hart’s importance to the team. This figure proves that LeBron’s play, as well as the play of the entire team, improves when Hart is on the wing, helping on both ends of the floor. ​​What’s even more incredible is that Hart is only in his second year. Hart has become a top-tier defensive presence, with the rare ability to lock down guards and forwards (and on some occasions, centres). And boy, do they need it. The ​Lakers currently ranked 27th in the league in allowed points per game — which seems to be extremely high, considering the presence of Hart, James, McGee and now, Tyson Chandler. It’s likely a result of Kuzma, Stephenson and Caldwell-Pope, who all lack defensive prowess. Regardless of that, the defensive future for the Lakers looks impressive — if the others follow suit.